DevOps is often credited for a digital transformation in an organization. Below is a case study where we used devops to transform product development lifecycle for one of our customers. Our customer offers web based tools to visualize data about globally available oil wells and alongside allow multiple visualization operations on this data. Using these tools, customers can take advantage of publicly available oil wells data and build their research on top of it. While the application code is robust and developers are expert as well as efficient, over a period of time, customer felt that one factor was slowing things down once they started on-boarding more team members in their development team, this factor was manual build and deploy. Alongside, they also discovered that there were no testing in place, that means, we were deploying even without doing basic verification. Customer wanted to ensure that pace of deployment shouldn’t be affected by pace of development of new features, deployment should be efficient, continuous and most importantly, automated. Moreover, all the features that are pushed to production should be reliable, with all the due diligence done before features are pushed to production. Created Bitbucket Organization in Jenkins to enable auto Continuous Integration of all target branches in Git. This ensures all jobs in Jenkins are created automatically. In a matter of 3 months, we were able to turn around things, with very visible and positive changes. These changes ensured that developers are focused on developing great features and deployment, operations et al were taking least amount of their time. Exponential reduction in deployment time. Entire commit to deployment cycle gets completed in less than 10 minutes. DevOps is less about applying a voodoo spell that will ensure your problems disappear in thin air, rather it is about having a agile mindset and a setup of processes, backed by set of right tools to ensure business continuity and development efficiency. This mindset, processes and tools should be used and embraced by your stakeholders. if devops is well embodied and accepted by everyone as the usual way of doing thing (not a special thing that few elite do), then only your organization can succeed in the DevOps journey. 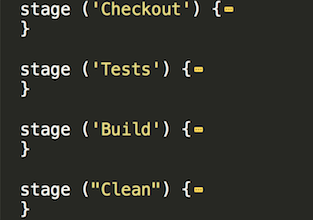 I will be writing another post detailing how we automated some of the steps as mentioned above in next few weeks. Please share your thoughts and stories on devops and digital transformation. 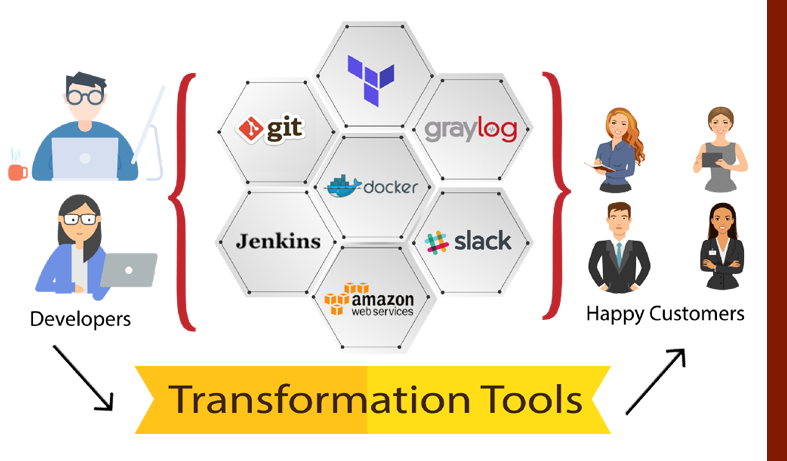 Reach out to me if you want to know more about devops and digital transformation. I am reachable at ravish@loves.cloud.